British MPs seized control of the Brexit timetable from Prime Minister Theresa May on Monday night. Lawmakers will hold a series of votes on Wednesday on alternative courses of action for Brexit. On Raw Politics, MEPs share their preferred Brexit solutions. In a highly contentious vote, MEPs decided to push forward with a copyright reform that will require big tech companies to implement “upload filters” to detect copyright-protected content. Critics say the legislation is too broad and puts legitimate content at high risk of being blocked unintentionally. The directive was passed with 348 MEPs in favour and 274 against, and now awaits approval from EU member states. 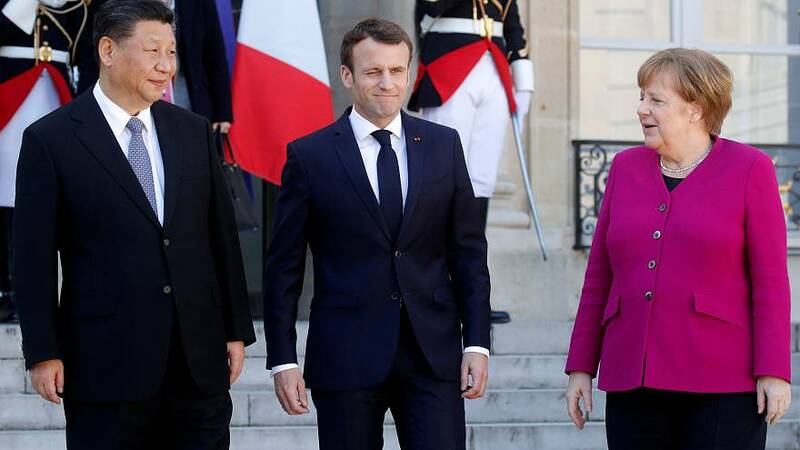 French President Emmanuel Macron was joined by European leaders Angela Merkel and Jean-Claude Juncker for meetings with Chinese President Xi Jinping on Tuesday to discuss relations between Europe and China. After signing €40 billion in trade deals between France and the Chinese government, Macron called for “strong multilateralism” in trade between the EU and China.